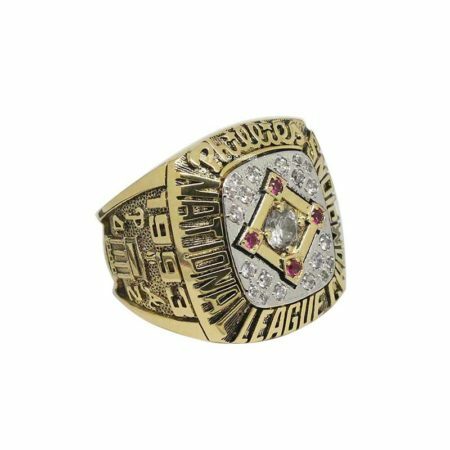 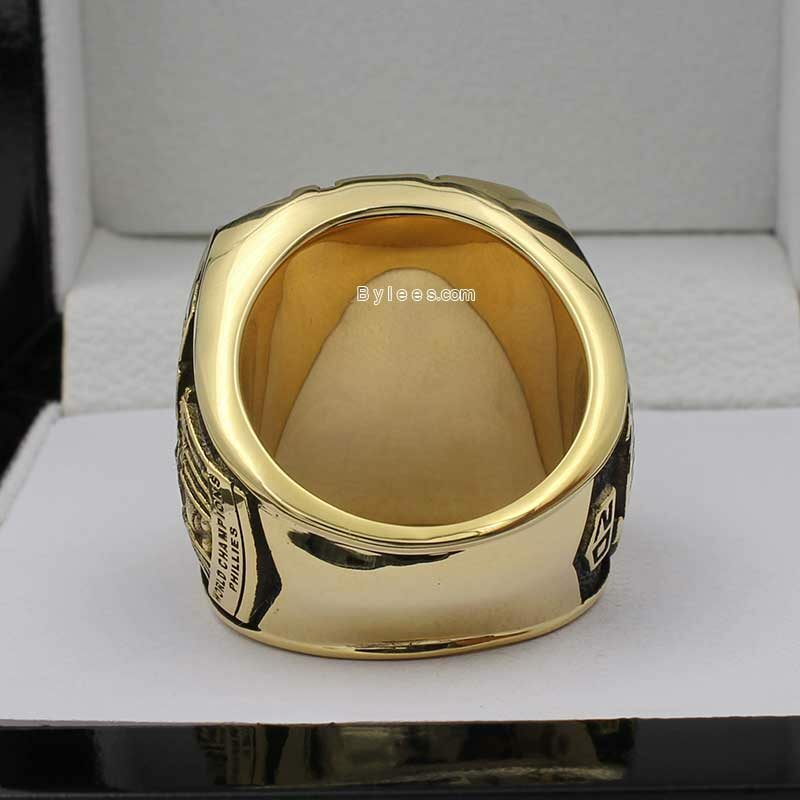 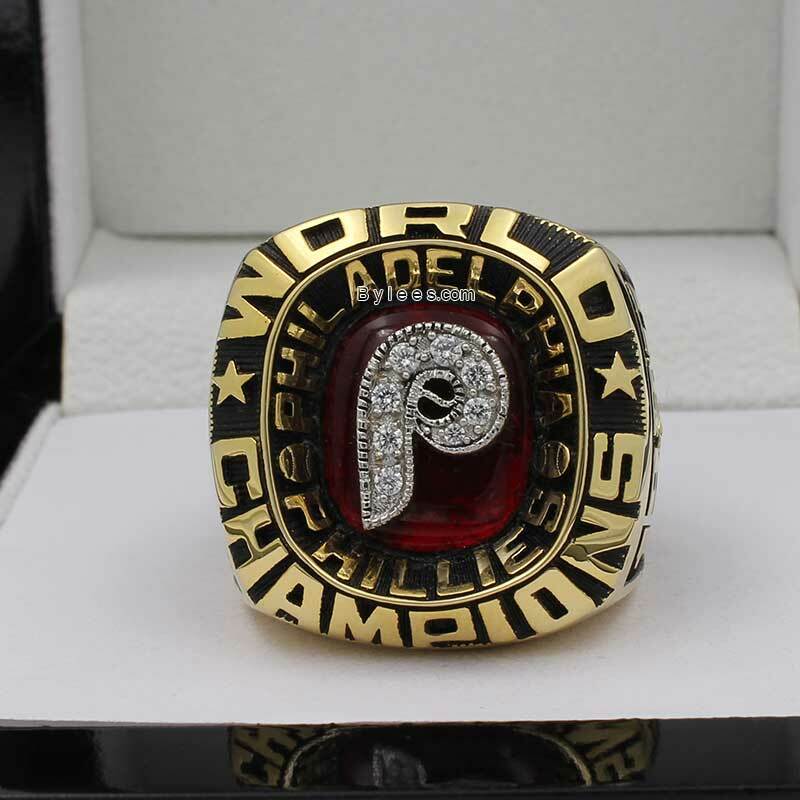 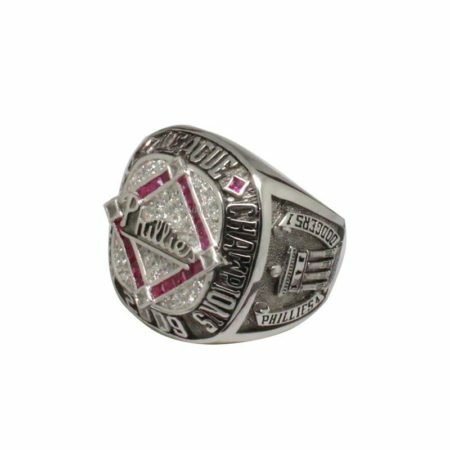 1980 Philadelphia Phillies World Series Championship Ring is Philadelphia first baseball world series ring. 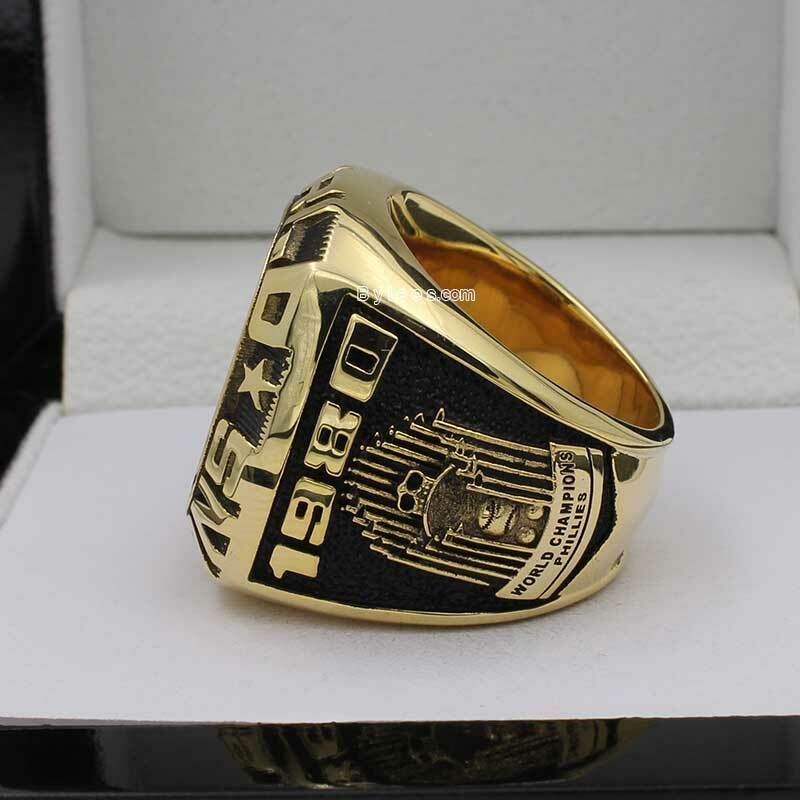 It commemorated the victory in the 1980 MLB postseason game. 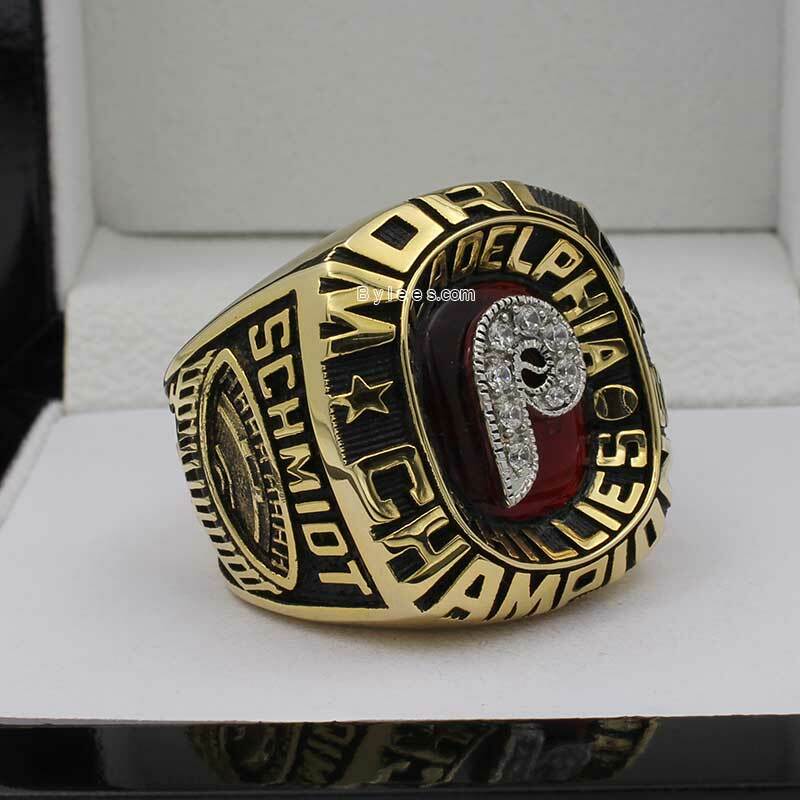 In this Season, Mike Schmidt was rewarded as the year MVP and led the team the 1980 World Series Ring. 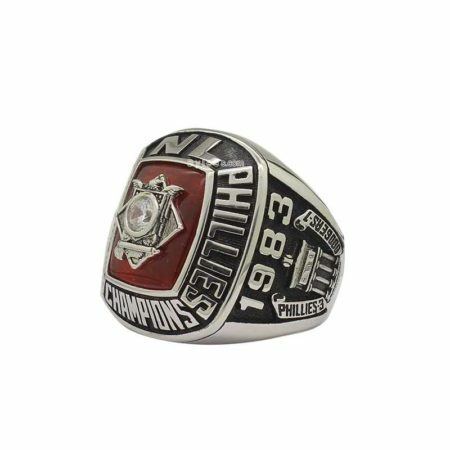 Steve Carlton who retired as the Phillies hall of famer collect two world series ring in total with the Phillies 1980 world series ring. 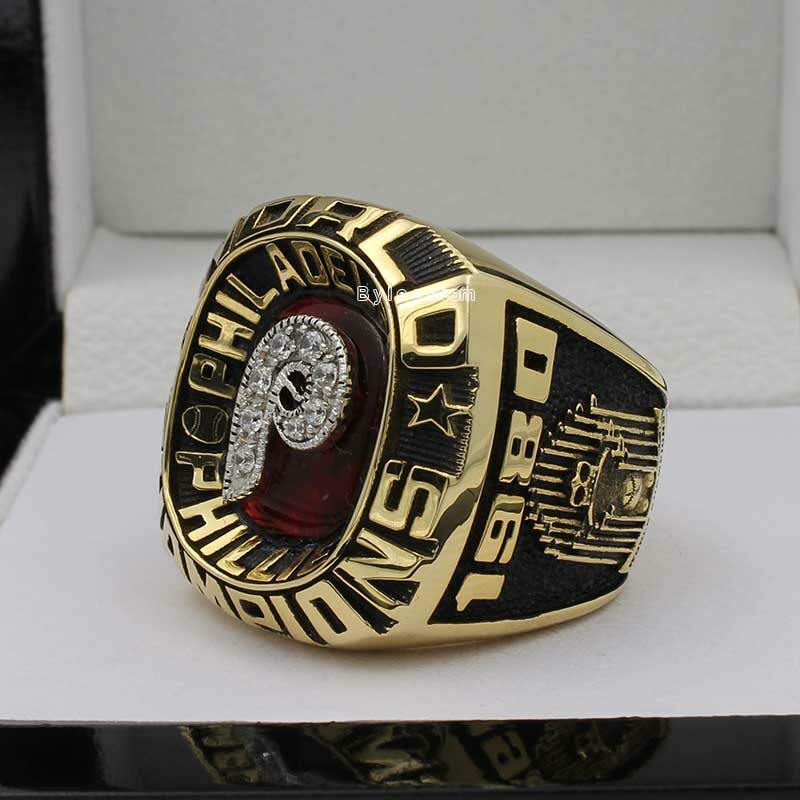 Willie Wilson even just got one word series title(1980 Philadelphia Phillies World Series Ring) in his career, but he is notable to set a World Series record by striking out 12 times (after getting 230 hits in the regular season) in the six-game set. 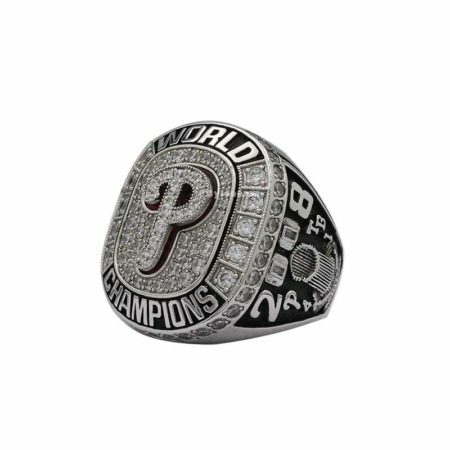 The Game 6 is the highest point of the phils as it stands as the “most-watched game in World Series history” with a television audience of 54.9 million viewers. 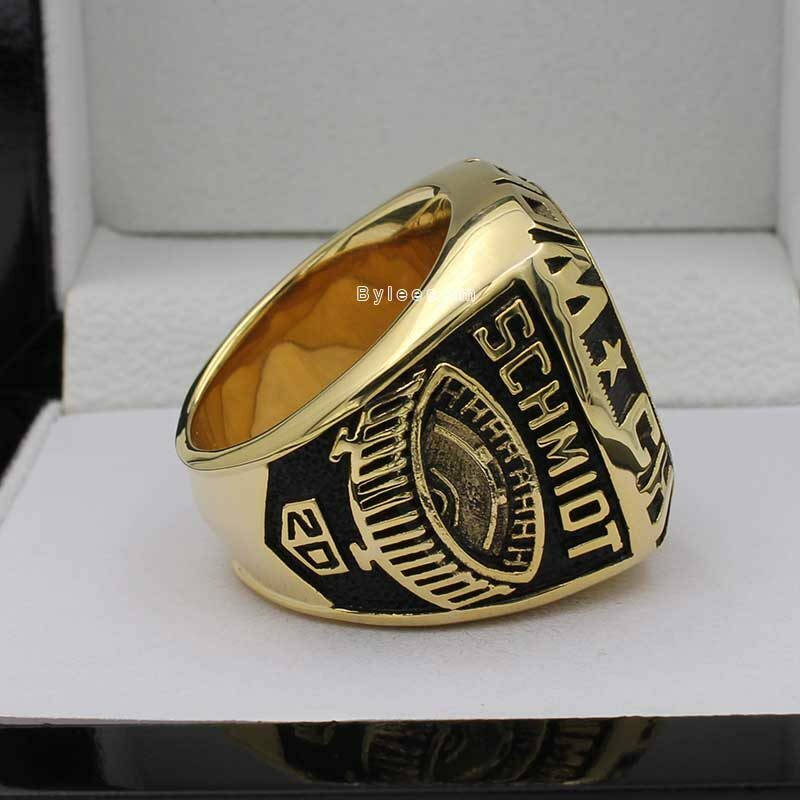 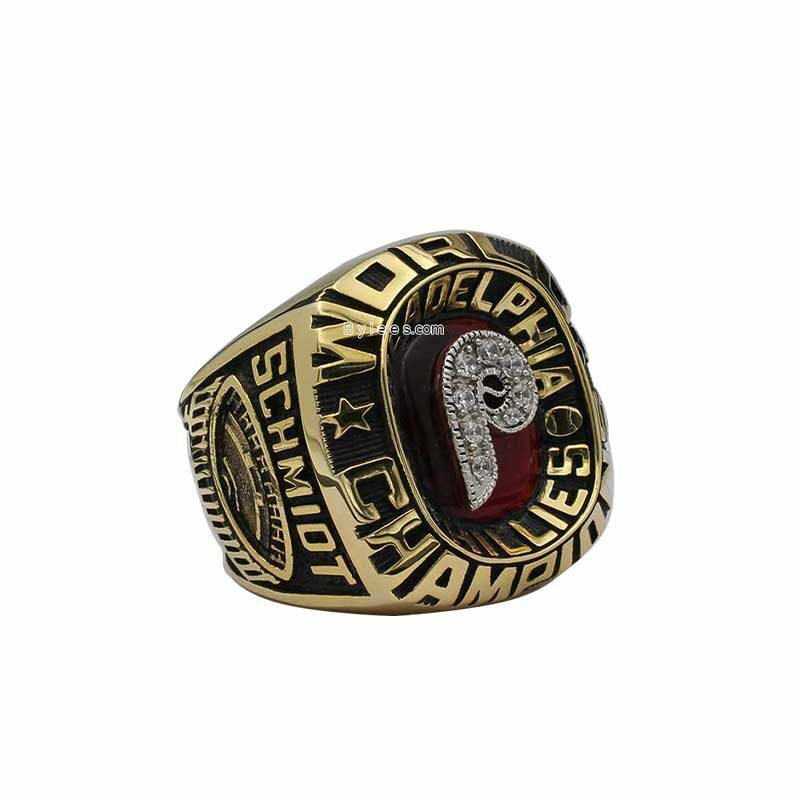 the replica here is Mike Schmidt Phillies 1980 world series ring.